Four times a year, thousands of youth from our Earth Guardian crews all over the world come together for actions through our Protect Our Future campaign to protect the Earth, Air, Water, and Climate. Together, we show the collective power of our generation and the impact we have to protect our planet and its people for the next seven generations. 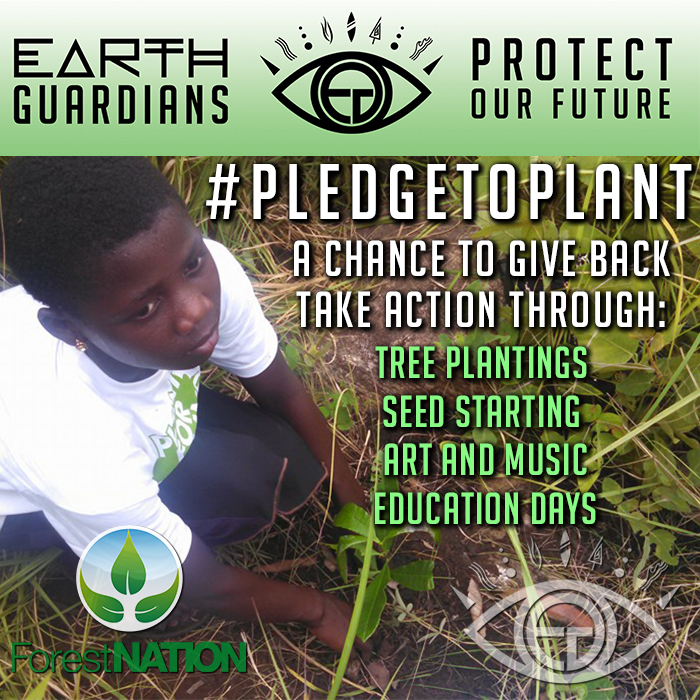 Protect Our Future is Earth Guardians' ongoing campaign highlighting environmental issues connected to the Earth, Water, Air, and Climate. It is unique because you get to choose what kind of project will best serve your community needs. 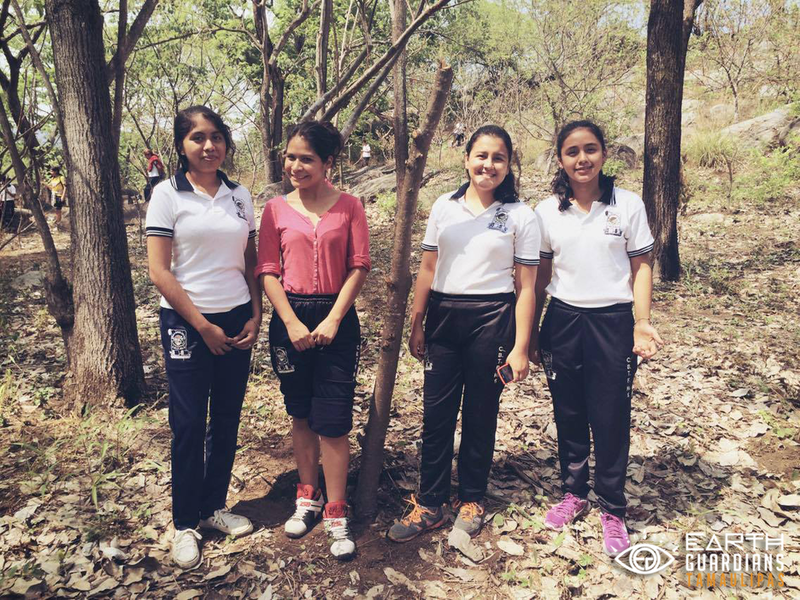 We recognize that environmental issues look different in every community, and it is the people who live there who know how to solve the problems. This helps keep our global network of young change makers connected as we work to protect our future. The projects launch on equinoxes and solstices. Protect Our Climate Film Festivals! Ready to host a Film Festival for your friends or community for our Protect Our Climate seasonal campaign? We have ideas on which films to screen, offer small grants to fund your events, and are here to help amplify your project to the world! It can be as big or small as you want. Read all the details about hosting your Film Festival this season along with other Earth Guardians Crews around the world. Join us in the regeneration of the soil, which is vital to life and the health of our planet and plays a critical role in averting climate disaster as science is showing. Creating productive soil is a great tool for cleaning the air we breath. This is a global challenge to sequester carbon out of the atmosphere and create resilience through regenerative projects, art and local community engagement! Activities could include community event organizing, reforestation, building biointensive gardens, rotational grazing grassland restoration, grassland and habitat restoration, street art, educational outreach and whatever other creative ideas crews come up with. 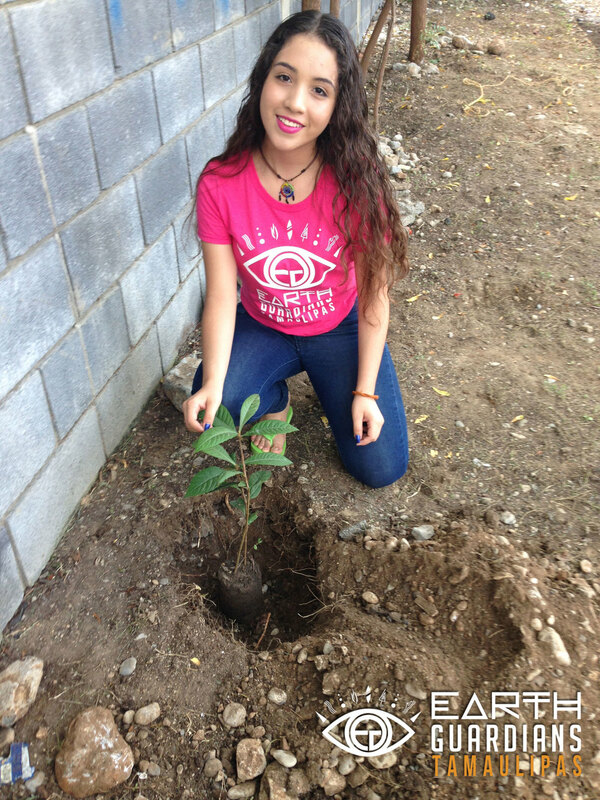 Planting more trees in your community is one of the best ways to #ProtectOurAir. 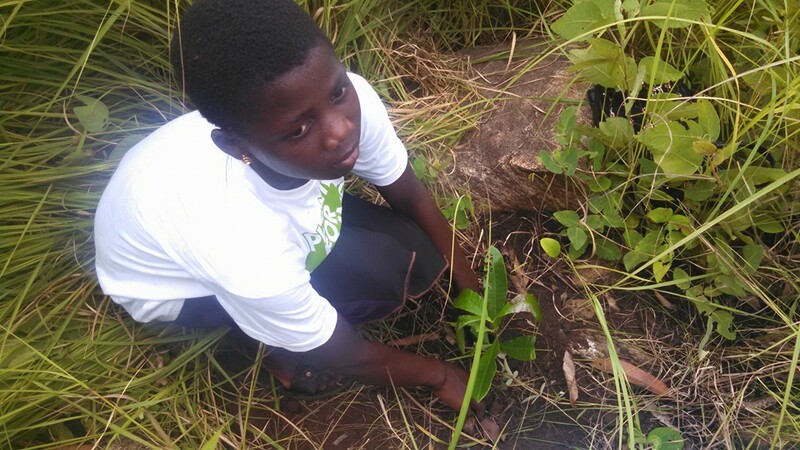 Reforestation is one of our best bets to addressing climate change and cleansing our air of pollutants, so why not #PledgeToPlant with us! If it is not planting season in your area, that's okay, you can still #PledgeToPlant at a later date. Stay tuned for our next global planting day! We encourage Earth Guardians to plant native trees, legumes, warm seasoned grasses and plants that pollinators love just to name a few. We will be sending our more detailed information on soil building, pollinator plants and the importance of tree planting/forest conversation. 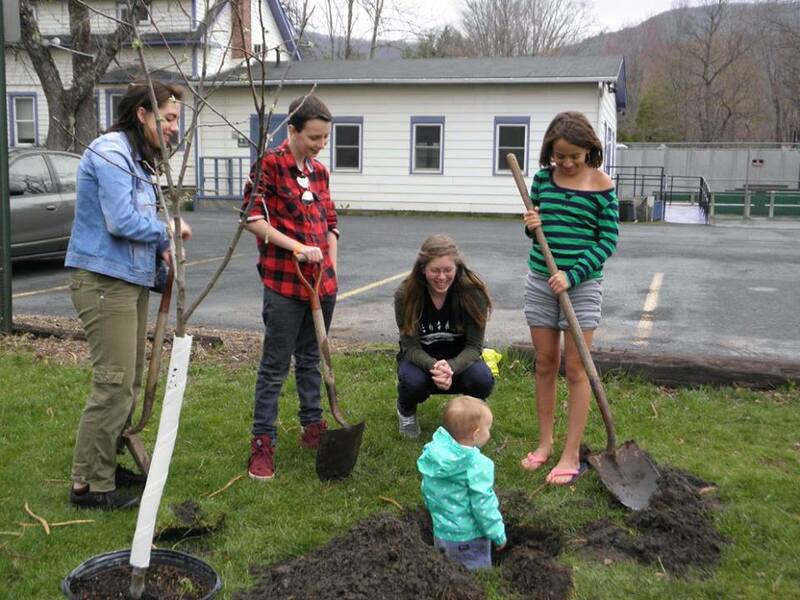 Find your local crew and share how many trees you planted in your community! Apply for a Grant for your Crew's Protect Our Future Project! Earth Guardians is offering small grants to existing, established Crews who need financial support to fund their Protect Our Future project. You'll also get to share your project's progress with the world through Earth Guardian's blogs and social media! Let us know what you have in mind and what you need to make it happen. In Spring, we dedicate the Protect Our Future campaign to the Earth. We focus on the tree plantings and regeneration of the soil, which is vital to our way of life and the health of the planet. Science is emerging about the critical role that soil plays in averting climate disaster. Earth Guardian crews can recruit their schools, businesses, farmers, municipalities, and other engaged groups to help regenerate soil or Protect the Earth in other ways that feel right for them. Activities could include community event organizing, creating biochar, building biointensive gardens, rotational grazing grassland restoration, street art, grassland and habitat restoration, educational outreach and whatever other creative ideas crews come up with! Each summer, Earth Guardians come together to Protect Our Future by celebrating, cleaning, healing and protecting the water in communities around the world. Water is vital to all life on this planet, yet there are many industries that are constantly polluting our water sources, people who continually waste precious clean water, and areas where no clean water is available. In 2015 the Boulder crew educated their community about the chemical present in the water by doing stream health tests. In Africa, crews built new wells in areas in need and in Kathmandu they used donations to buy water to give to those who didn’t have any. While other crews did clean up around rivers, lakes or beaches. By looking at what your community needs, you will be able to figure out the right focus for your project. Protect Our Future fall projects focus on air quality and our atmosphere. Air pollution often increases during the fall and winter when people need to heat their homes, and spend more time in their cars to avoid cold weather. To protect the future of our air, we must get creative and think about how can we keep our carbon footprints small as the weather cools down. In the past crews have handed out flyers to people in their cars to educated about the causes of air pollution, planted trees to clean the air, created eco-friendly kites and other art/music to raise awareness and many more projects. We invite our Earth Guardian crews around the world to host local Protect our Future Film Festivals each winter. Winter is a great time to reflect on the work you have done to protect our climate in your own community, and what our global community has achieved over the last year. By reflecting on what we have accomplished together, what we have learned, and how we have grown, we have an opportunity to increase our impact in the coming year. Coming together for a film festival is a fun and effective way to educate ourselves and our communities about the state of our environment, and discuss ways we can help it improve. We encourage you to choose films that highlight both global and local issues, and invite community elders to host a discussion panel after viewing the films. This is also an amazing opportunity to highlight the creative work being done by Earth Guardians in your community! While many crews take on smaller actions within each campaign, some take on year long projects that connect all campaigns together. This option is more work but can lead to positive, powerful social and environmental change in communities world wide. Year long campaigns allow crews to explore how problems associated with our Earth, Air, Water, and Climate are all related. We ask our crews to find creative solutions to address all four Protect Our Future campaigns: Protect Our Earth, Protect Our Air, Protect Our Water and Protect Our Climate. 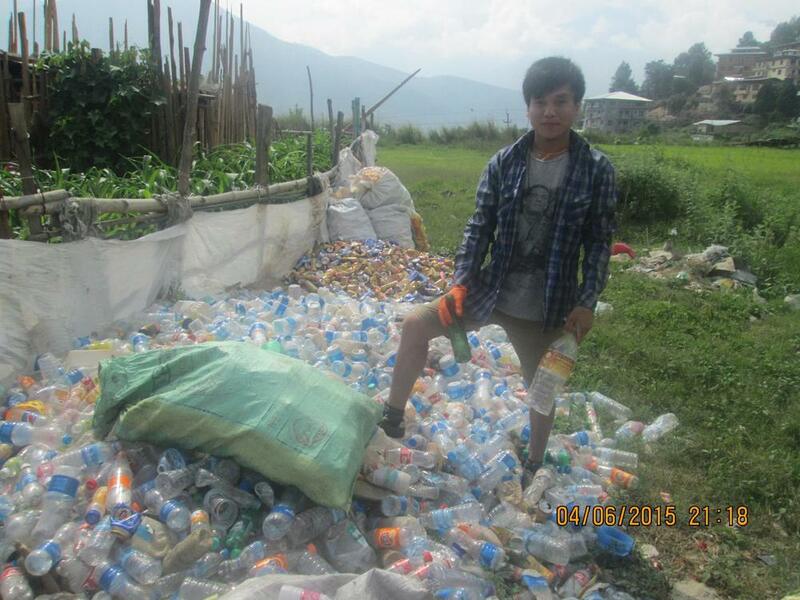 Below we share some examples of year long projects Earth Guardian crews are working on. Click on the photo to check out EG Africa's year long Protect Our Future proposal. If you are interested in taking on a year long plan, this is a great example of how it can be laid out. 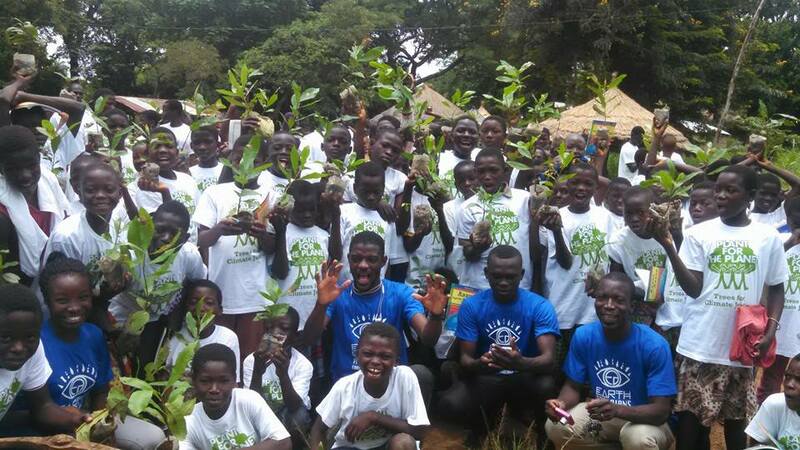 Click on this photo to read EG Uganda's project Go Green Global Campaign! In he past, EG crews engaged in community clean-ups, ran workshops, created educational videos and even built wells on the summer solstice to inform their communities about the importance of healthy water systems. 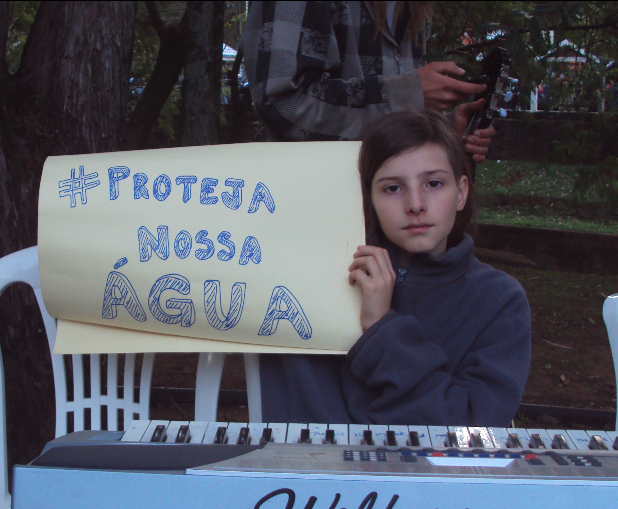 Earth Guardians Brazil hosted a concert to highlight the importance of protecting our water. There was inspirational music and speeches about protecting sources of clean drinking water for future generations. They also created a music video called "PROTEJA NOSSA ÁGUA -Dinheiro não se bebe" (Protect Our Water - You don't drink money), an original song meant to educate and inspire others through the message that water is life. For the last couple years EG crews world wide have been focusing on reforestation as a means of climate mitigation. 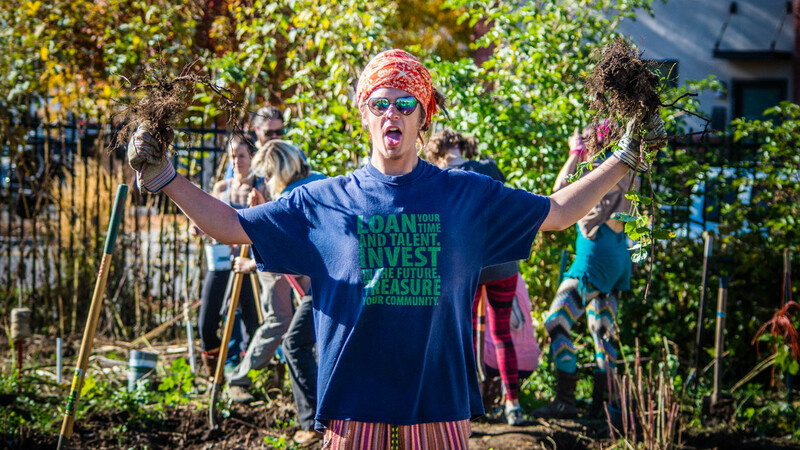 Our crews have planted thousands of trees, hosted educational events about the importance of reforestation, written music, organized trash clean ups, created butterfly gardens and permaculture gardens and focused on soil health as well as lots of other cool projects focused on the protect of our earth. Many of our crews also participated in Earth Hour, where they turned off their lights for an hour to bring awareness to the dangers of climate change. 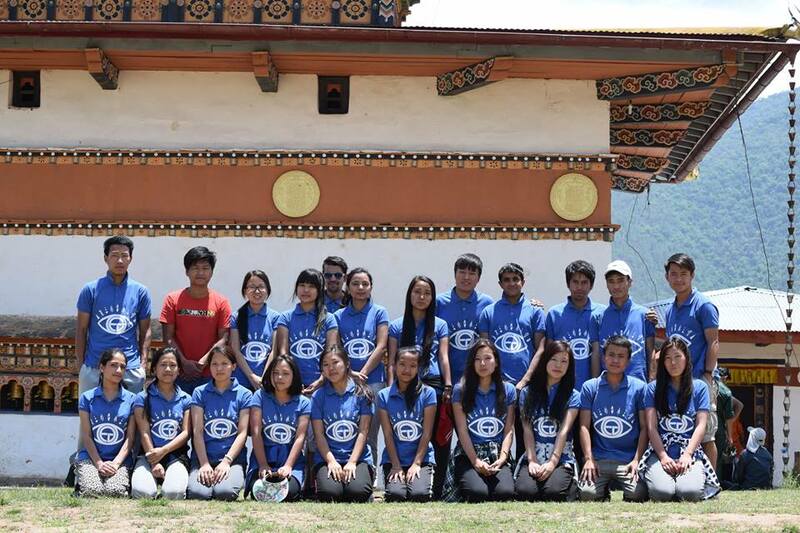 Earth Guardians Bhutan and Earth Guardians Africa alone planted over 2,000 trees this past year and also have hosted educational events to inspire and train others in their communities to get involved and take leadership in the the protection of the earth. Check out this fun to watch educational piece put together by Earth Guardians Salt Spring Island as part of their #ProtectOurEarth project! This is an inspirational video meant to teach kids about the carbon cycle and its relation to climate change. 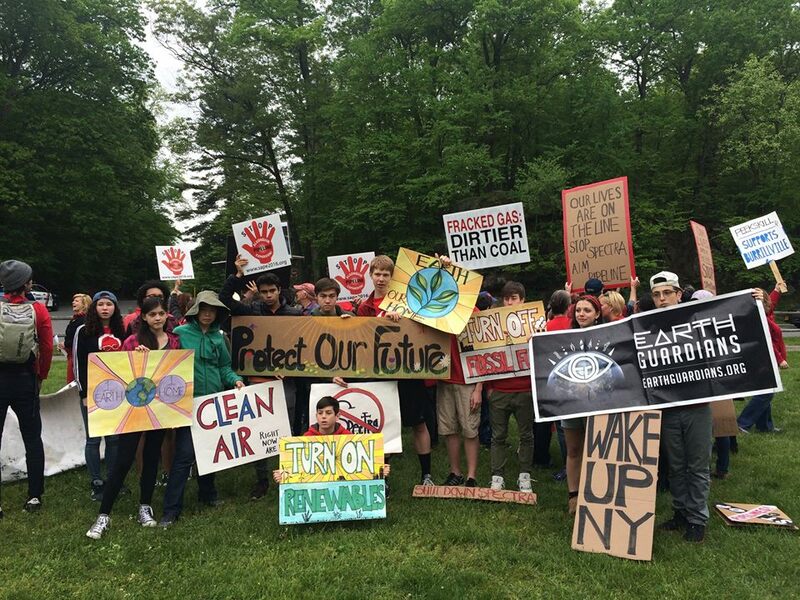 2014's Protect Our Air event coincided with the People's Climate March in New York City, the largest mobilization of people in history for climate related issues. 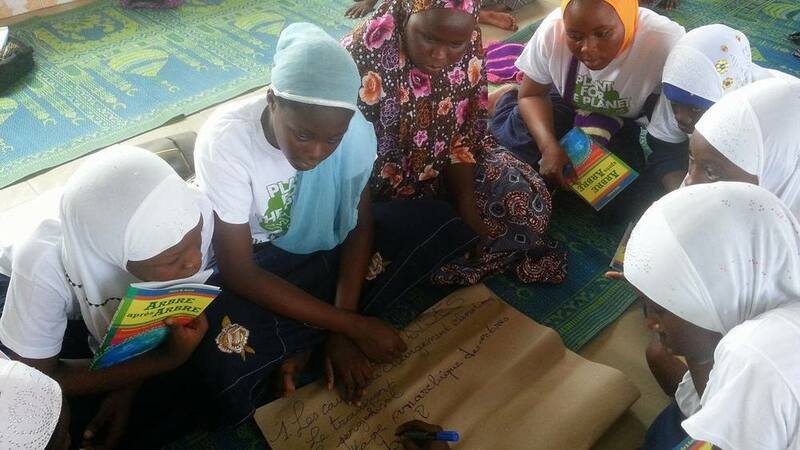 In Togo, Africa, Earth Guardians held a climate march in solidarity as well as assembled a regional conference on environmental safety. Earth Guardians India conducted an event in the busy streets of Hyderabad, Andhra Pradesh to teach motorists the importance of healthy air and mitigating air pollution. 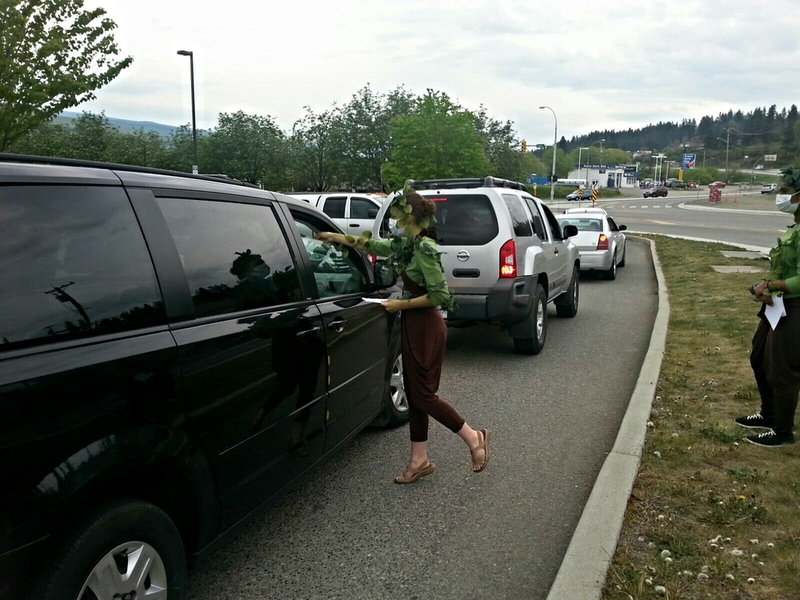 Volunteers held signs and talked with people in cars and on motorbikes to remind them that the burning of fossil fuels has environmental and health costs. In 2015 we had a kite making contest in which we asked EGs to create Eco-friendly kites that helped promote the importance of clean air. Last year, Earth Guardians New York co-hosted an educational film series that was meant to open space for community based discussions on how to bring climate solutions to the local and global communities. People of all ages gathered to be inspired by powerful films and bring the inspiration into action through meaningful, immersive conversations that rethink revolution and civic engagement. They hosted a film with a different theme twice a month from the end of January through the beginning of April with their partners Woodstock Land Conservancy, Woodstock Transition Towns, Bioneers and the Longspoon Collective. It was a fantastic success of not only reflecting on the solutions that need to be brought forth but also connecting the community to local organizations doing incredible and important work.